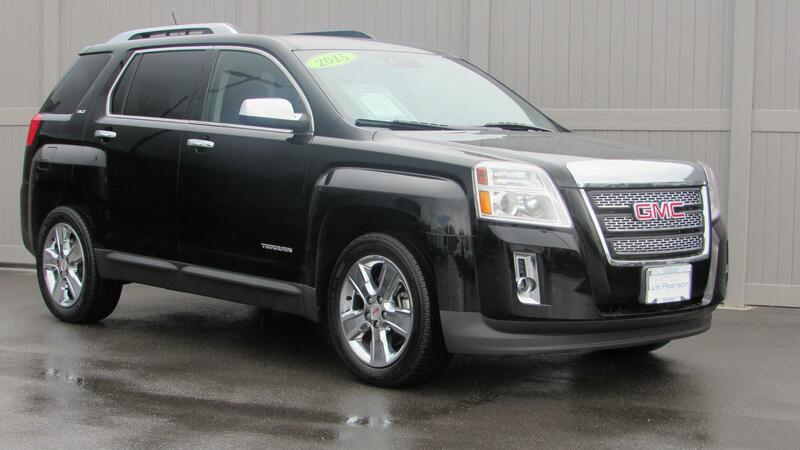 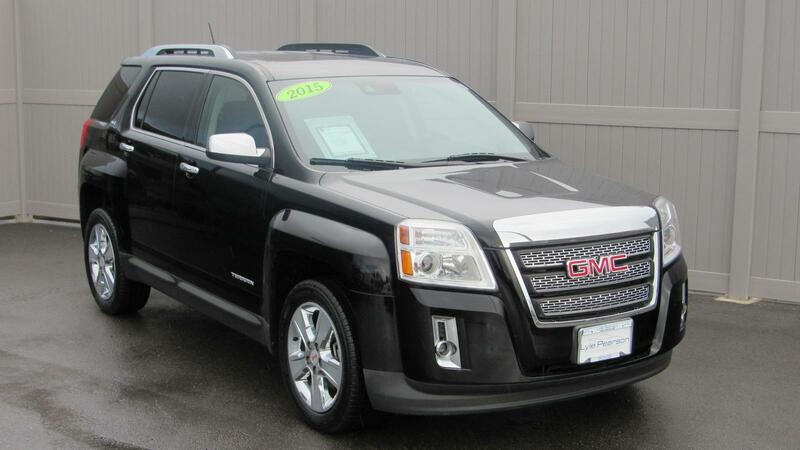 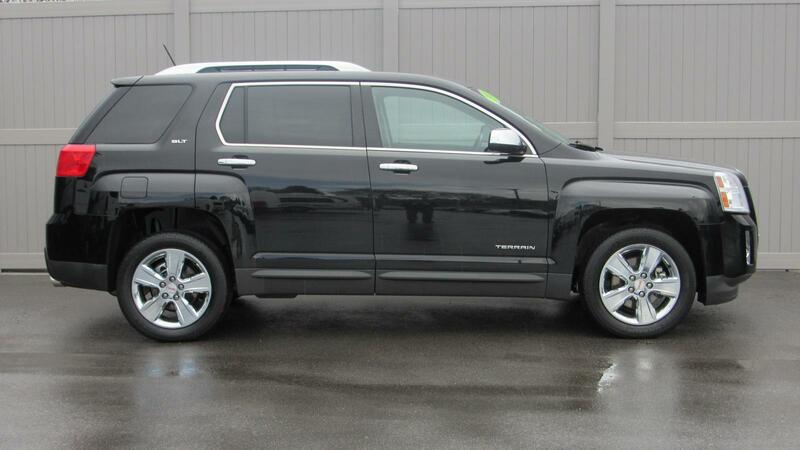 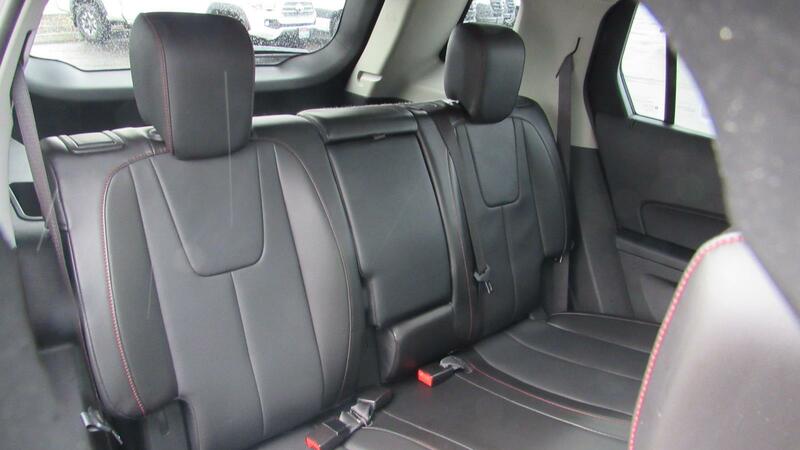 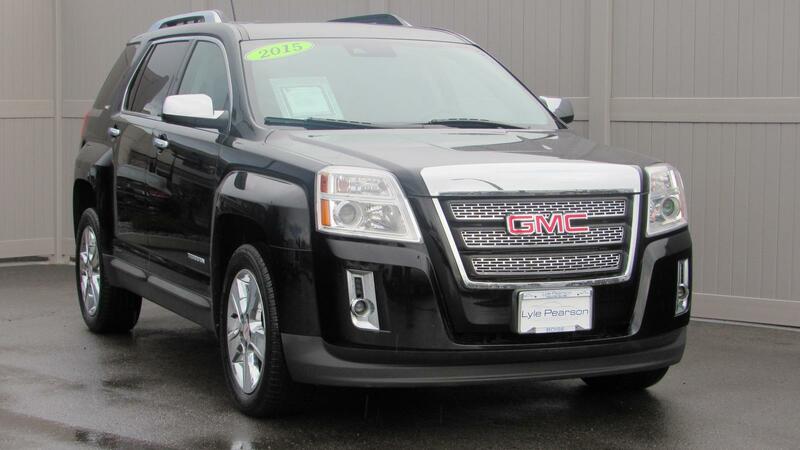 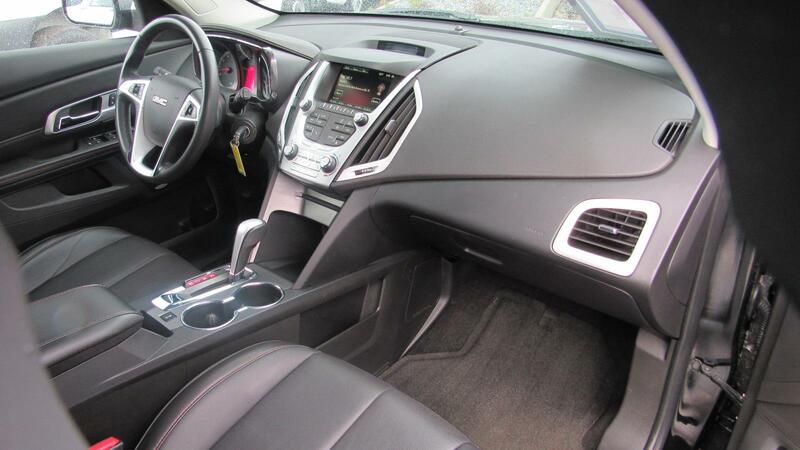 2015 Terrain SLT all wheel drive in Onyx Black with black leather interior. 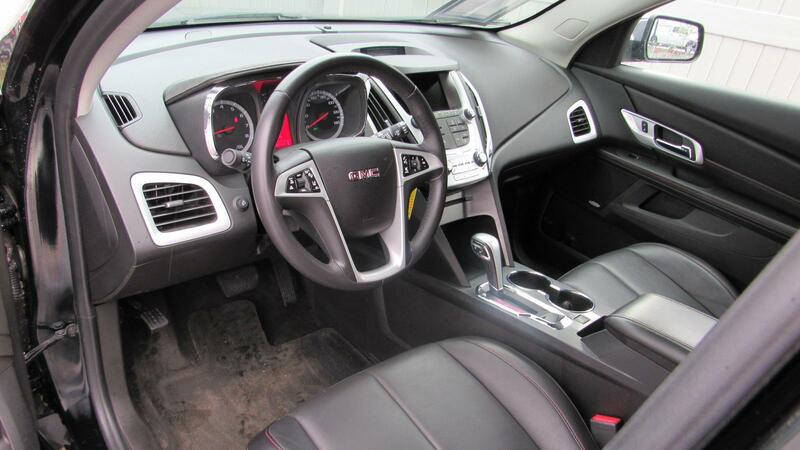 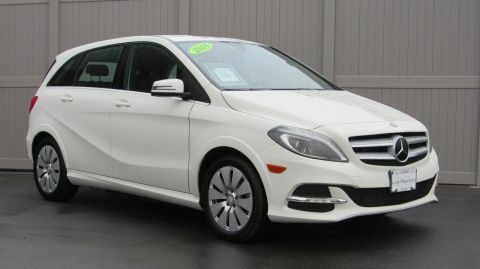 Options include heated leather seats, tilt and slide moonroof, Pioneer premium sound with Bluetooth hands-free and media interface, back up camera. 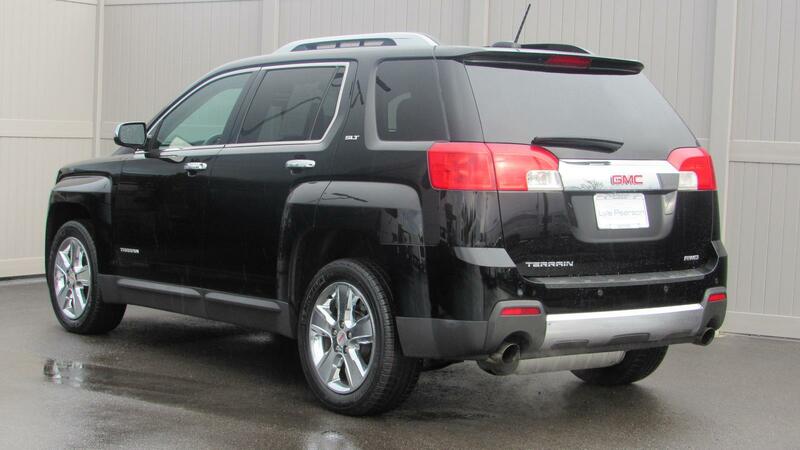 power tailgate, factory remote start and more. 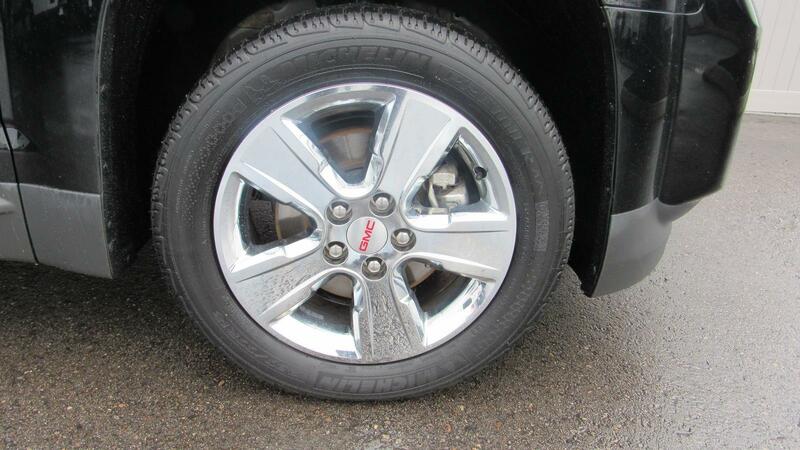 Very clean inside and out, and we just put 4 new tires on! 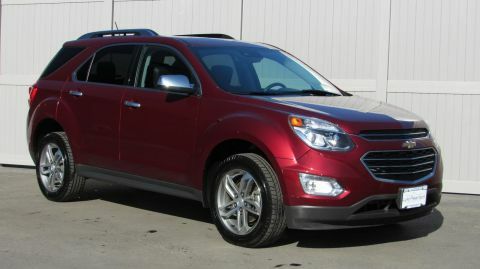 PRICED TO MOVE $600 below Kelley Blue Book! 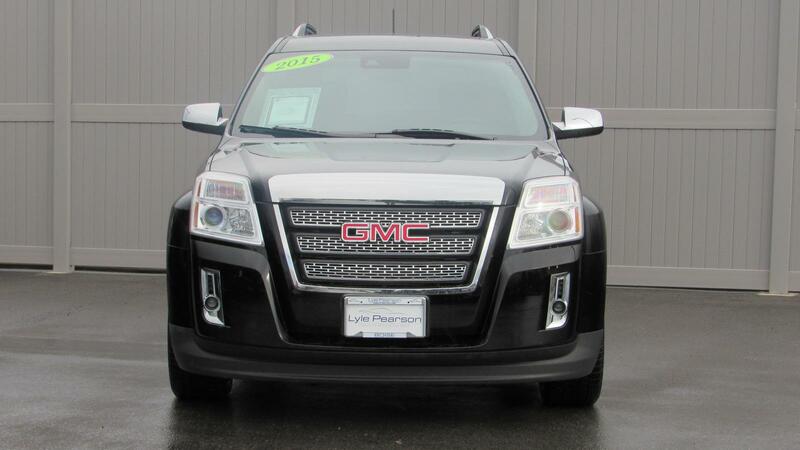 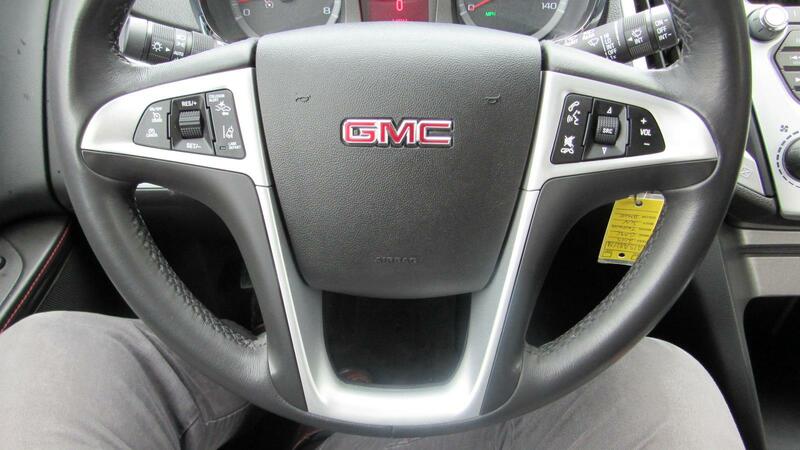 Call, or come by for a demonstration today!GMC SLT with Onyx Black exterior and Jet Black interior features a V6 Cylinder Engine with 301 HP at 6500 RPM*. 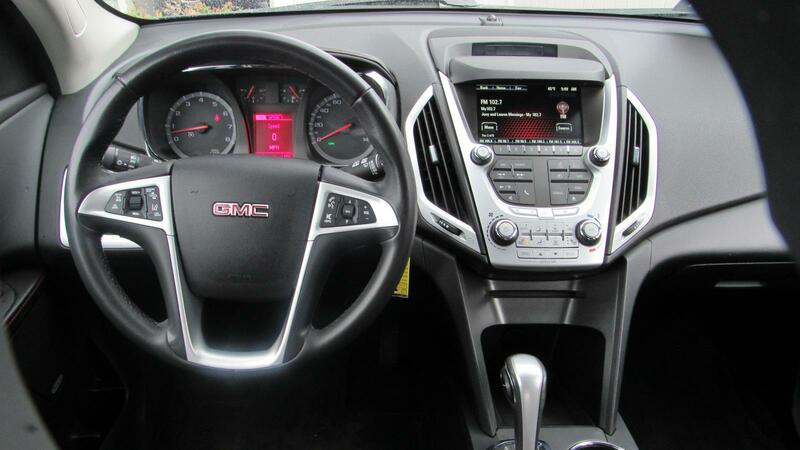 ENGINE, 3.6L V6 SIDI (SPARK IGNITION DIRECT INJECTION) with VVT (Variable Valve Timing) (301 hp [224.4 kW] @ 6500 rpm, 272 lb-ft [367.2 N-m] @ 4800 rpm), AUDIO SYSTEM, COLOR TOUCH AM/FM/SIRIUSXM STEREO WITH CD PLAYER AND MP3 PLAYBACK includes 7 diagonal color touch-screen display, USB and AUX port and iPod support (STD) (Includes IntelliLink. 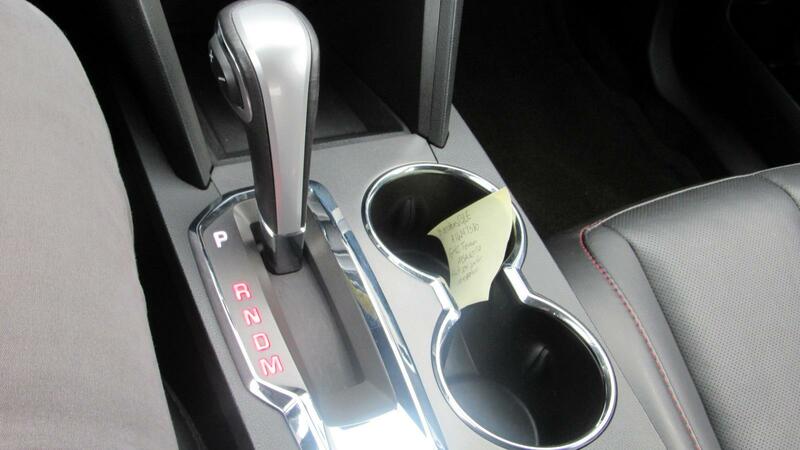 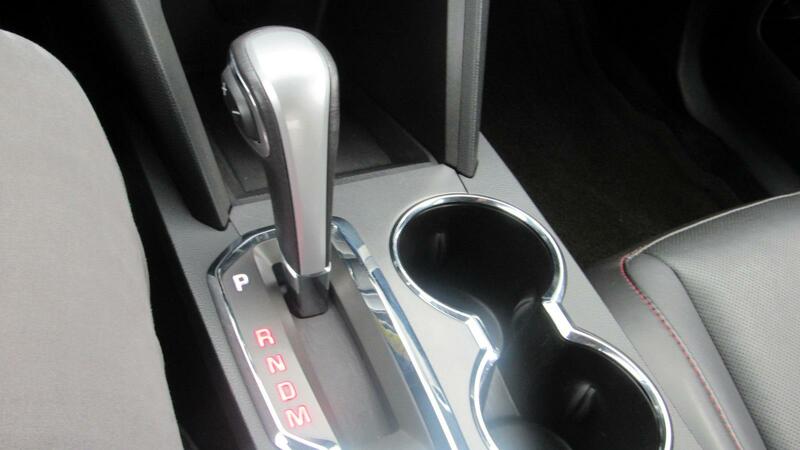 TRANSMISSION, 6-SPEED AUTOMATIC (STD). 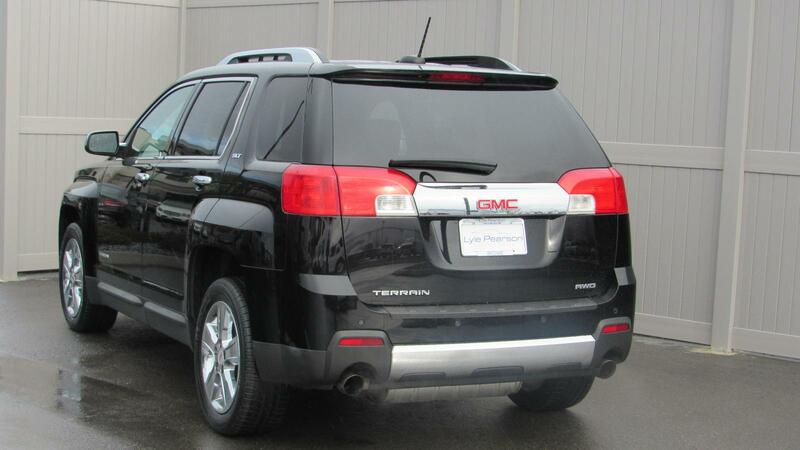 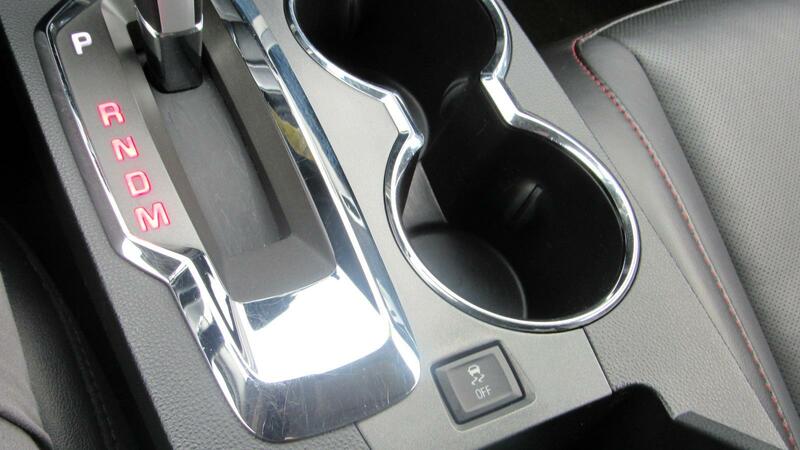 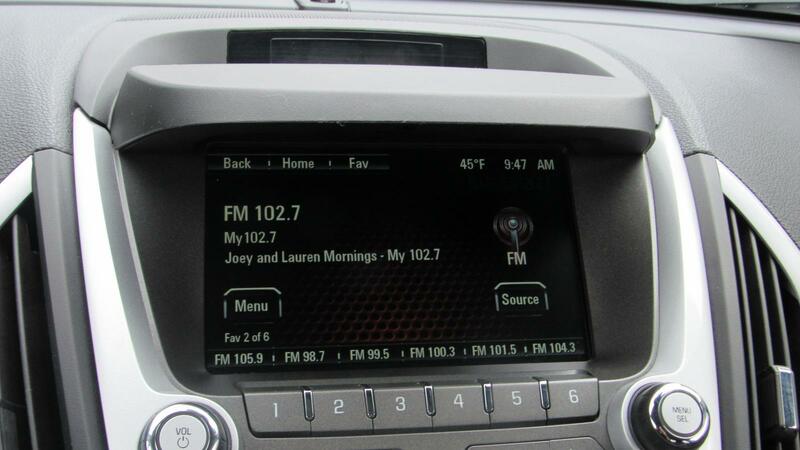 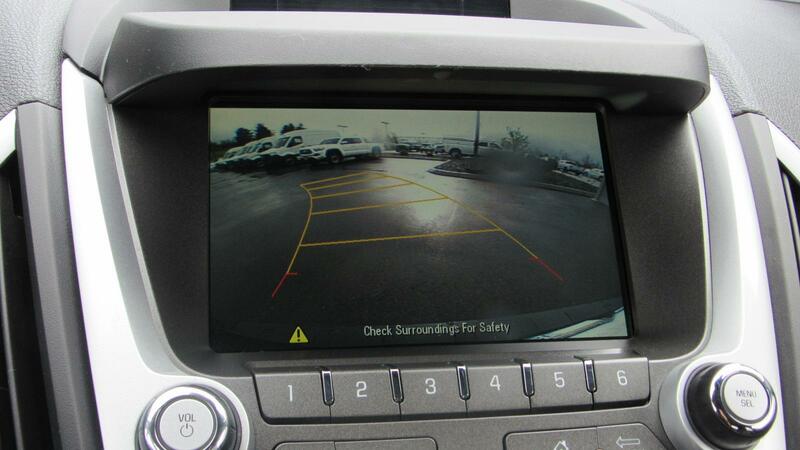 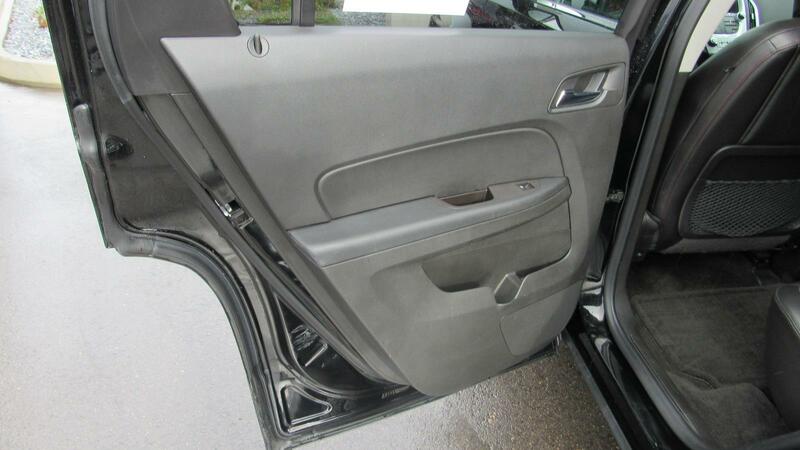 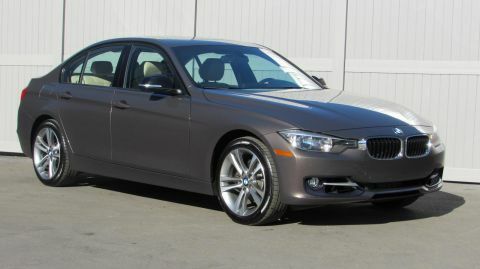 Privacy Glass, Remote Trunk Release, Keyless Entry, Child Safety Locks, Steering Wheel Controls. 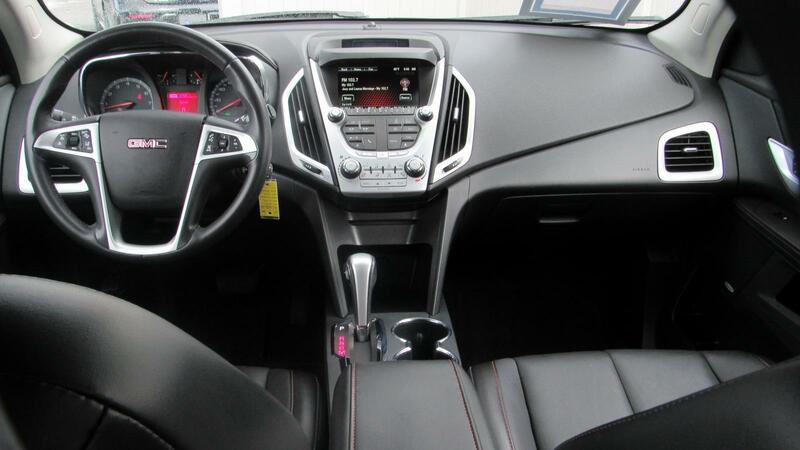 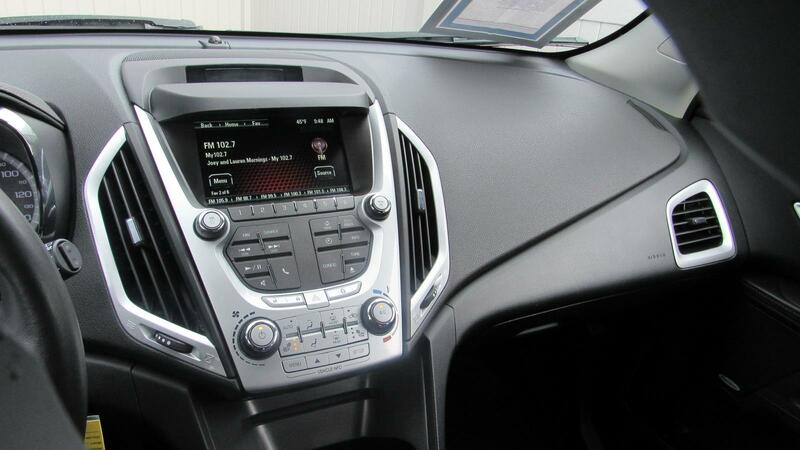 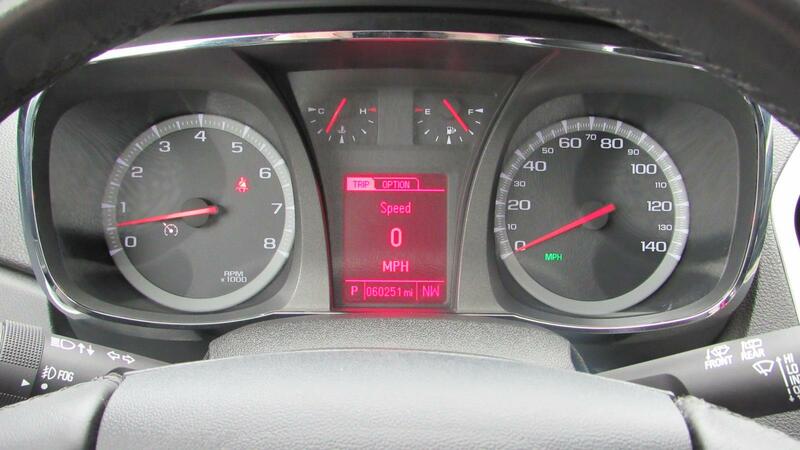 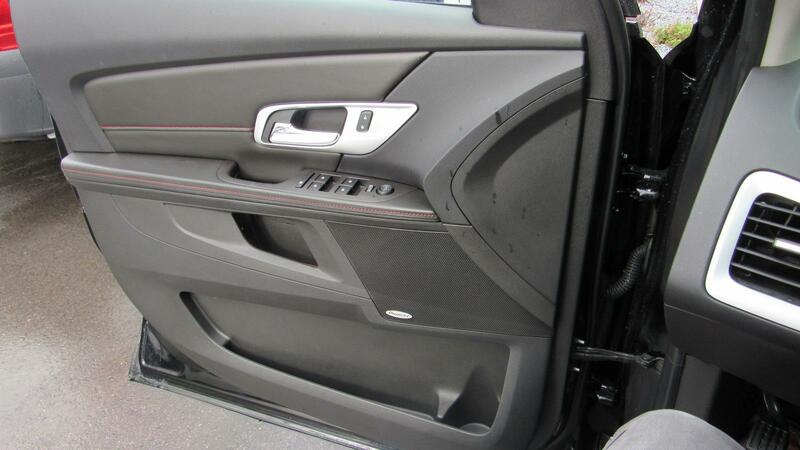 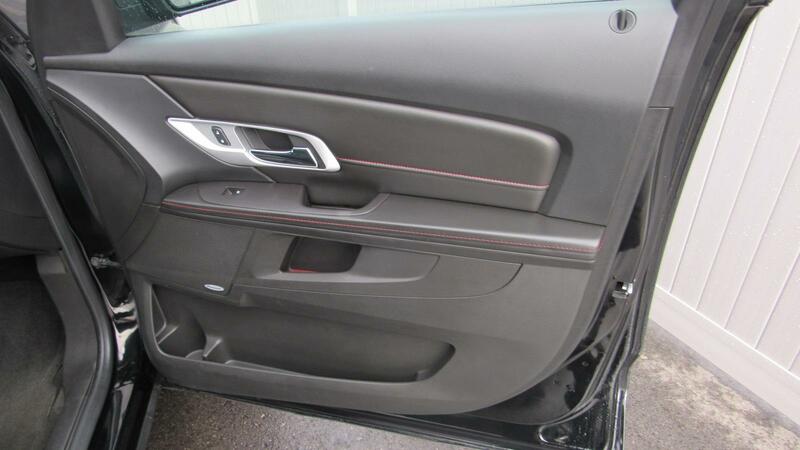 Edmunds.com's review says Particularly noticeable is the attention to sound-deadening in the Terrain. 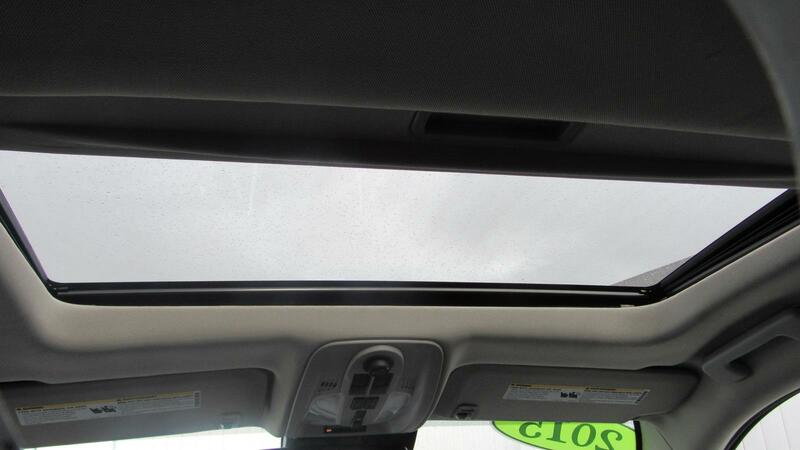 An acoustic windshield and other noise-killing measures. 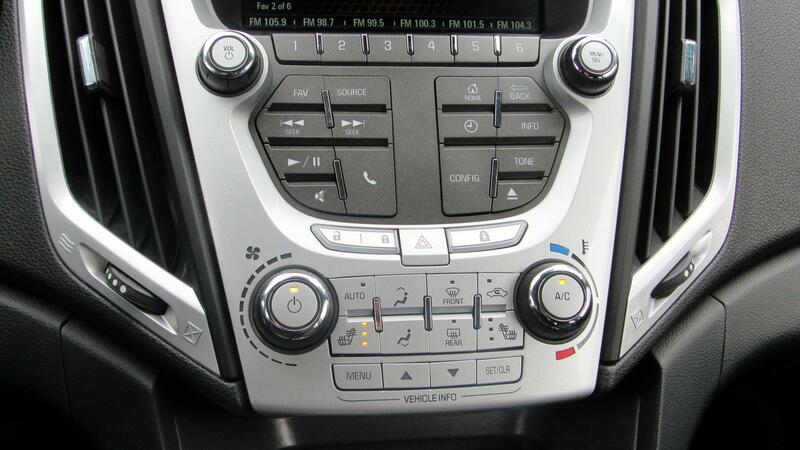 work wonders in muting tire and wind noise, even during high-speed cruising.. 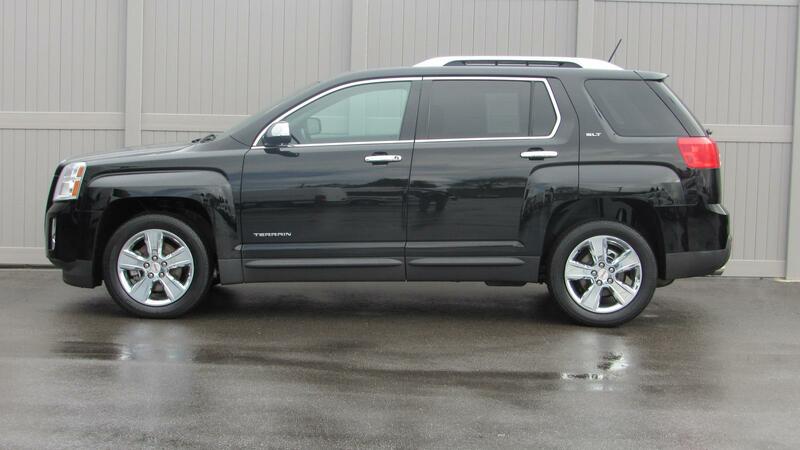 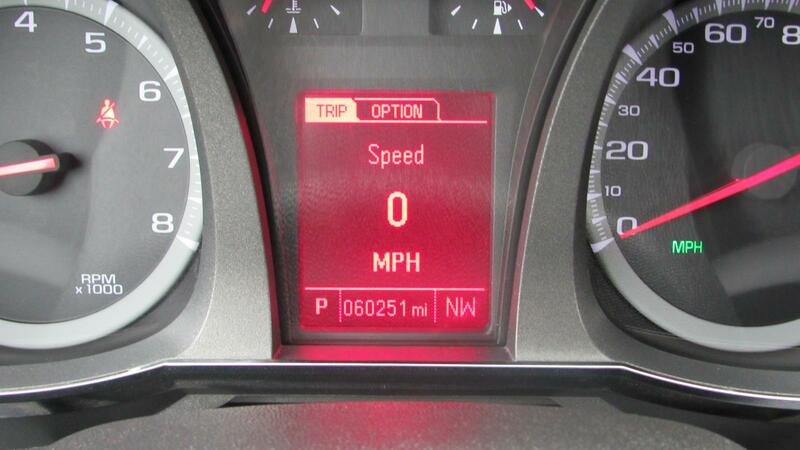 This Terrain is priced $600 below Kelley Blue Book.